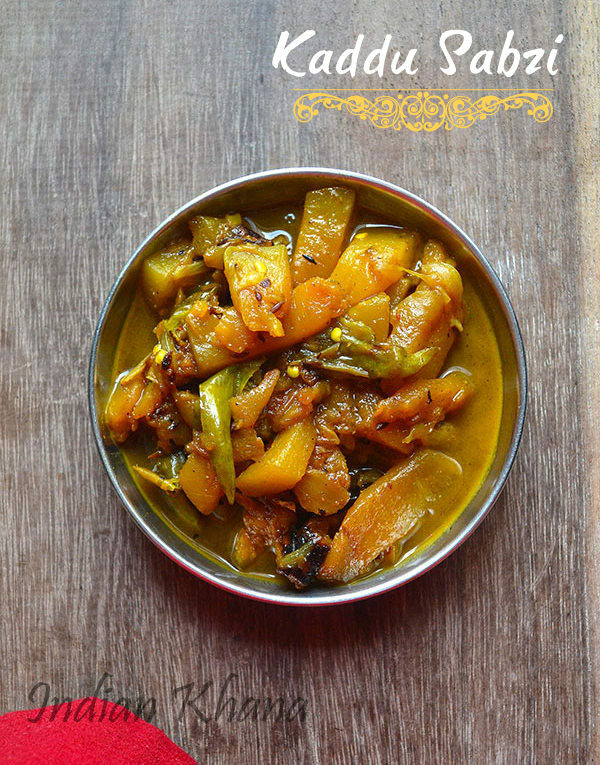 Pumpkin Curry or Kumdra Sabzi or Kaddu Sabzi is easy, quick and delicious pumpkin curry which can be pair along plain rice or roti, paratha anything of choice perfectly. I have already posted dry pumpkin curry recipe which is little different from recipe as this is my SIL recipe and that was mine. You can make the same curry dry too just don't add water and it still can be pair along rice. I took this picture in one of my India trip while my SIL was making it and now happen to post this recipe as now a days thought a lot of things getting cooked but I am not able to click pictures so using all the pictures that I am having :) You can also pair this along simple rasam along with rice if wishes. 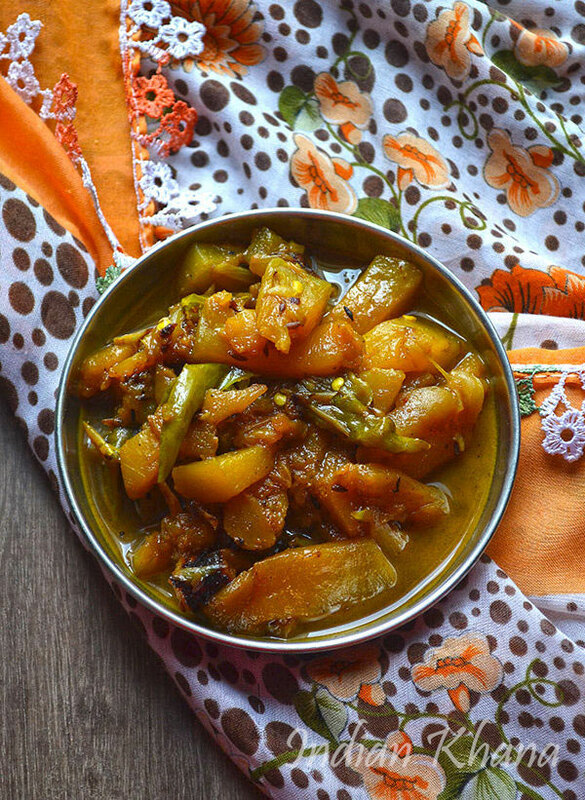 Soft, sweet and spicy this kaddu sabzi is delicious. 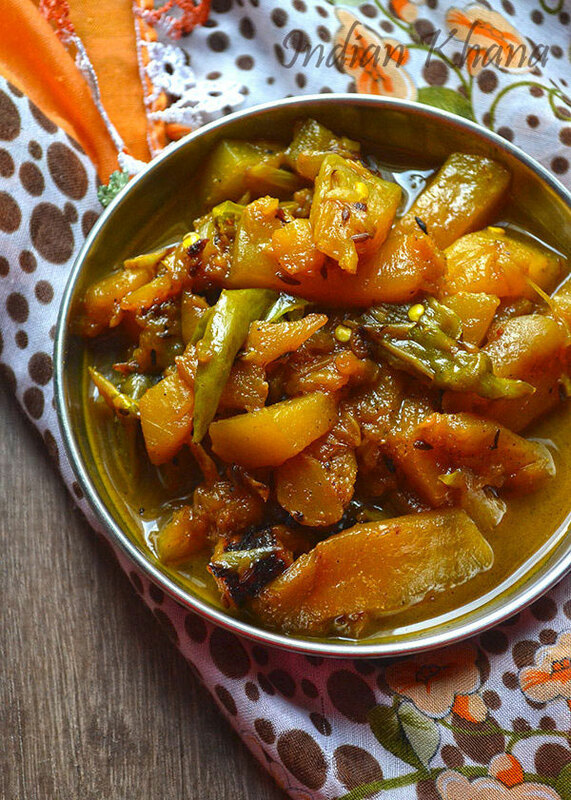 This curry is not very sweet but still little sweet so if you wish you can add little of dry mango (amchur) powder or even tomato. Try this curry and you will like it too. 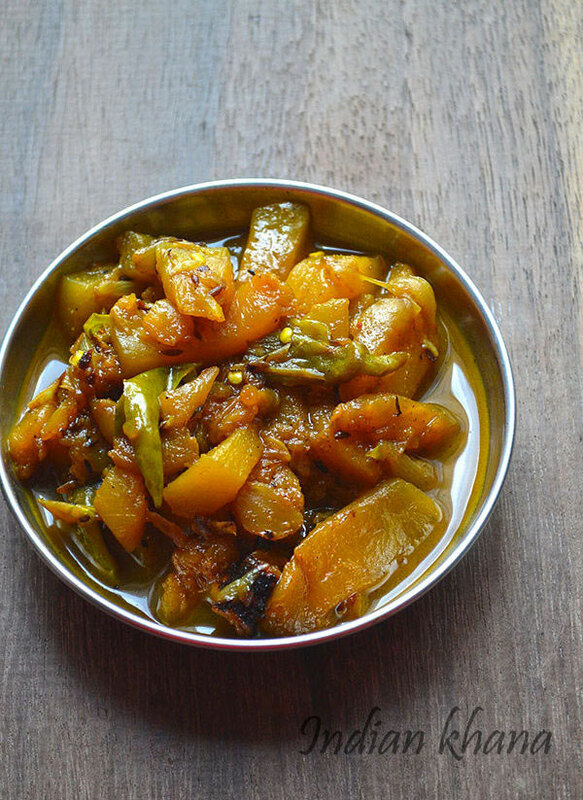 Pumpkin Curry or Kaddu Sabzi is little sweety, spicy curry. Cut pumpkin into wedges, peel and cut in 1 inch pieces or as you like, wash and keep aside. Peel and slice onion, slit green chilies. In a pan or wok heat oil add cumin seeds and allow to splutter. Add garlic and saute until golden brown, now add onion, chilies and cook until onion becomes soft. Add pumpkin pieces and saute until it start to become soft. Add salt, turmeric powder, red chili powder, coriander powder and mix well, cook for 2 minutes. Add 1/2 cup water and cook until pumpkin gets cooked fully but doesn't get mash. 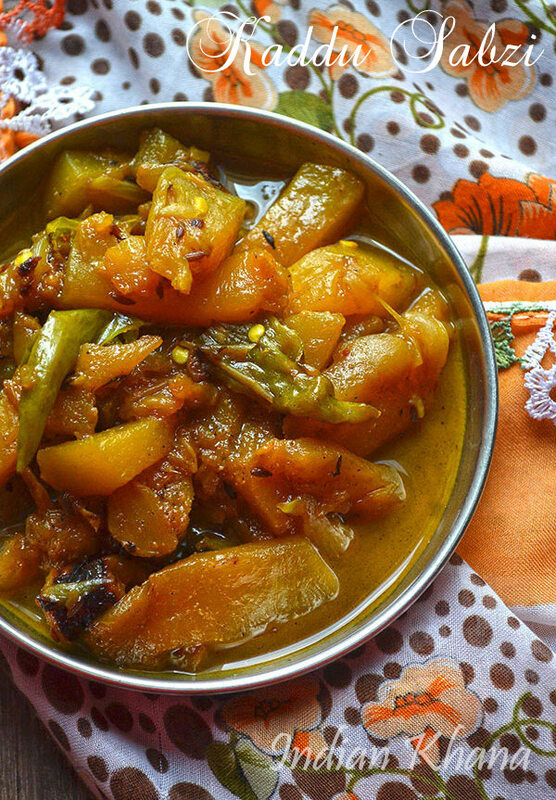 You can add 1 tsp amchur (dry mango) powder to have little tangy taste. You can also add 1 large chopped tomato along with pumpkin. Skip water to have dry curry. Healthy, easy and delicious pumpkin curry.